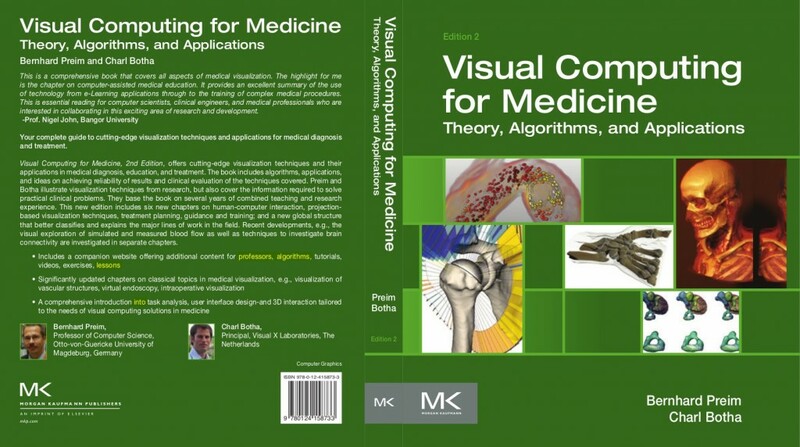 The second edition of the Visualization in Medicine book, retitled Visual Computing in Medicine to reflect its significant revision and broader treatment of the field, started appearing in readers’ hands by the end of 2013. You can download a PDF with the full table of contents. Note that this is a draft of the table of contents. The final typeset version will differ in terms of page numbering, especially due to the five online chapters, and in terms of general prettiness. The printed book has 836 pages with hundreds of colour figures. There are also an additional 190+ pages of exclusive online content which you can download for free.